The Hawthorns has been the home of West Bromwich Albion since 1900, when it became the sixth ground to be used by the club. The stadium was the last Football League ground to be built in the 19th century and at an altitude of 551 feet, it is the highest above sea level among those of all 92 Premier League and Football League clubs. The more vociferous home fans are situated in the Birmingham Rd end and are afforded an excellent unobstructed view of the action. Actually, there are no bad seats inside the stadium with all four stands being single tiered affairs without a single pillar. Two new video screens have been installed in the ground recently. One at the Smethwick End side of the East Stand and the other in the opposite corner of the Halfords Lane Stand. Up to 3,000 visiting supporters can be catered for and are situated on the east stand side of the Smethwick End. The views are unobstructed but there is a lack of leg room for anyone over 6'0 tall. Facilities and refreshment bars are very good with a wide range of food on offer for relatively average prices. There are only really two pubs close to the ground, and both operate a members only policies on match day. Therefore, your best bet is to try West Bromwich High St. A recommended pub is The Poachers Pocket which is located on Albion Rd, B70 8QX, and is described by the manager as an away supporter friendly pub. The Poachers is a fairly large family friendly pub with a decent size car park. Food ranges from sandwiches/burgers to a 20oz Mixed Grill served from 12 - 2.30 and 6 - 9 Mon to Sat and 12 - 6 on Sunday. There is a small beer garden, a pool table and a dart board. The pubs here will offer standard pub fare and the pints are plentiful although the bar tending might be a little different than what you are used to if you are an away supporter but your bound to find something you fancy. Parking is freely available in the streets surrounding the stadium and you'll be unlucky to have to park further than a 10 minute walk back to the stadium. If however, you prefer the secured private car parks there are plenty around charging anything upwards of £5 per vehicle. The nearest / closest train station to West Bromwich Albion's Hawthorns Stadium is Hawthorns Rail but the more likely arrival point will be Smethwick Rolfe Street which is served by local trains from Birmingham New Street. Wilf Brooks, a visiting Blackpool fan tells me: There is a train or tram that takes you to within walking distance of the ground from the station. However, at the end of the game, away supporters are sent on a bit of a route march to get back to the station as there's little info advising where to go so be sure to familiarise yourself before the game. Travel: 3 of us drove from Manchester and parked on Middlemore road close to where the away coaches are parked and the only walkway exit available after the game. Impressions: Ground looked good outside, not been for a few years due to Uniteds ticket policy. The police very friendly indeed but approaching the away end I thought it was back to the 70/80s, big gates etc. Facilities: Entered the turnstile, stewards/police very polite again but found inside very small behind the stand. Apart from the bar food / coffee very good. toilets small but good and clean. Seating very good even though low down a very good view. Exit: Coming out through all the gates and fences very quick BUT YOU CAN ONLY GO ONE WAY down this passage. If you follow my parking place you will be back to your car or train very quick. Enjoy: Didn't enjoy the day as, not all WBA fault, got beat, no beer, bloody cold. Would recommend WBA as a good away ground, on the motorway 25 mins after final whistle but make sure you read upto date instructions. Travel: As a student at Coventry University who is reliant on public transport I got the train from Coventry to Birmingham New Street before catching the tram service from Birmingham Snow Hill to the Hawthorns. The ground is less than 5 minutes from the tram station. Refreshments: Stopped for a drink in Birmingham en route, not really many pubs nearby. Impressions: Well my first impression of this stadium would have been when I was 8 years old, stood in the Brummie Road End with my Dad. As I support West Brom I'm obviously very biased but I think it's a tidy ground, I've sat in 3 of the 4 stands and I've never had a bad view. For this game in question it was a fifth round FA cup tie and West Ham had been given the whole of the Smethwick End, they were a noisy bunch to begin with but we soon drowned them out when we were 4-0 up! 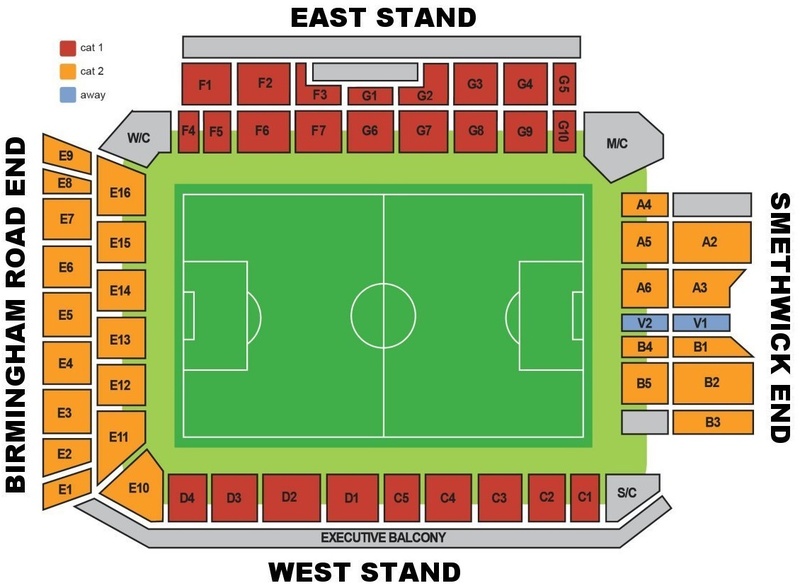 Facilities: Leg room in the East stand is probably the best with the Brummie Road end a close second. As my dad has a season ticket in the Halford's Lane stand (or West Stand) I'm used to my legs being a little bit more crushed. All the concourses look clean and modern, and as usual with most football clubs the food and drink in the ground is over priced..
Exit: Getting the tram or train away is very easy and you can often be in Birmingham again within 20 minutes of leaving the ground. Enjoy: I enjoy all my days at the Hawthorns for one reason or another, for this day though it was the atmosphere from the home fans and the good football being played, I've had other friends come with me to watch games and they've always had a good time at the Hawthorns. 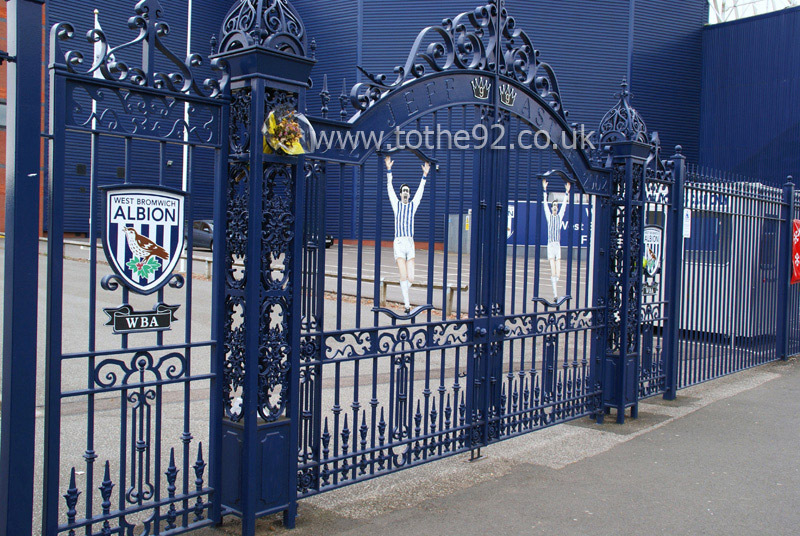 Have you been to West Bromwich Albion's Hawthorns Stadium? To tell us about your experiences and to feature on the site, simply complete the fans review form below!